1. 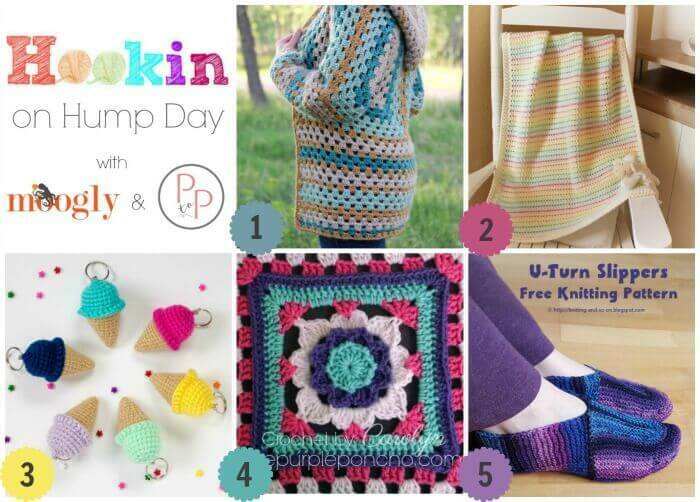 MOST CLICKED LINK: The Campfire Cardigan from Make & Do Crew – A granny-lovers dream , this cardigan comes together with granny squares and hexagons … Part 1 of this FREE crochet pattern! 2. Starlight Baby Blanket Pattern by Make from K-Town – This adorable blanket would make a treasured keepsake … FREE crochet pattern! 3. Ice Cream Cone Keychain from The Friendly Red Fox – So cute and a perfect summer project … FREE crochet pattern! 4. Flower Granny Square from The Purple Poncho – Pretty flower granny square with a 3-D effect … FREE crochet pattern! 5. U-Turn Slippers from Knitting and So On – Super cozy slippers … FREE knitting pattern!